You can play baseball in Minecraft! But… the balls … are something different from the usual. 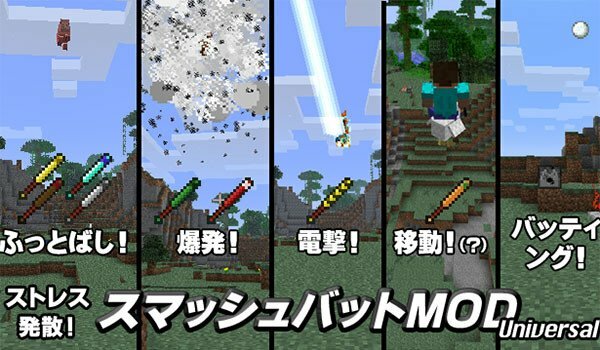 Smash Bats Mod 1.7.2 y 1.7.10 is a mod that lets you create up to 8 baseball bats in Minecraft. Although this may not be the most surprising for those who install this mod first. The mod adds bats, but no balls. Because one day the creator woke and thought: who wants baseballs in Minecraft if there are mobs? How to install Smash Bats Mod for Minecraft 1.7.2 and 1.7.10? Baseball bats to play with Minecraft mobs!